I'm not quite sure if the upmove (since early June) is already over. Weak support is at 79.10-20 and then at around 78.60-80. 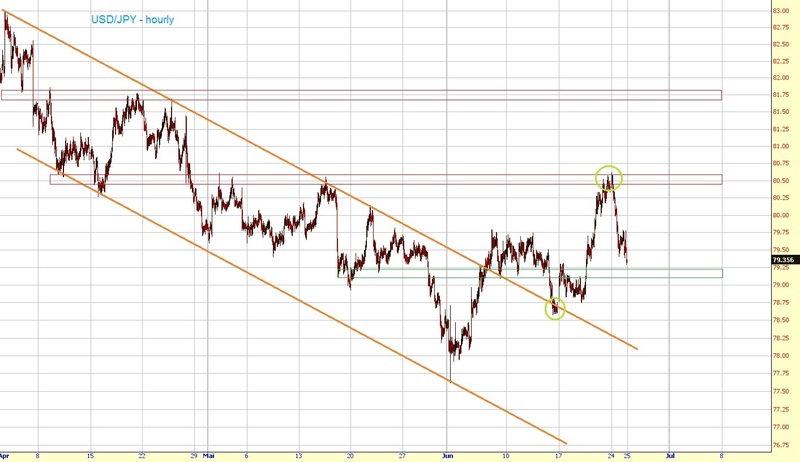 If one of these two levels holds, we might see another rally back to 80.50 or even 81.75. 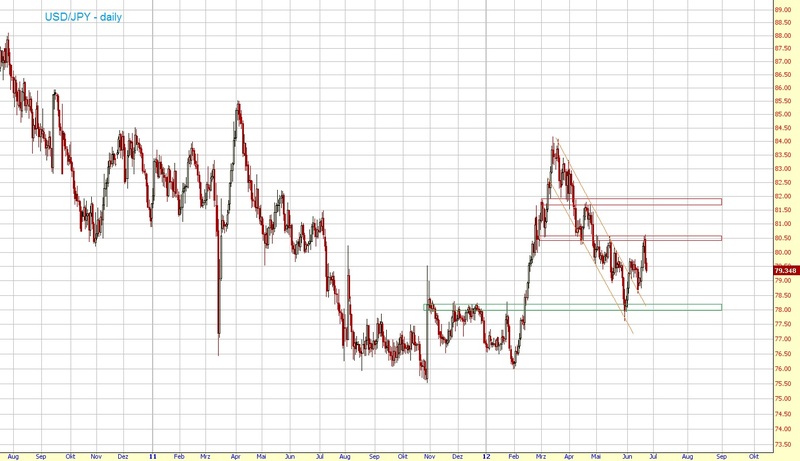 If it doesn't hold, we should retest the very strong support area around 78.